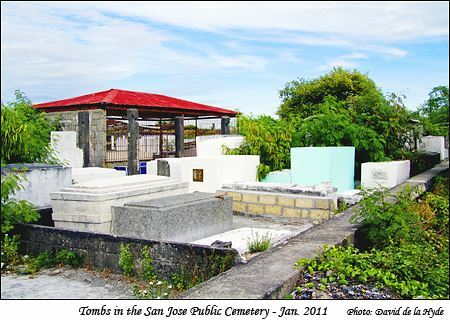 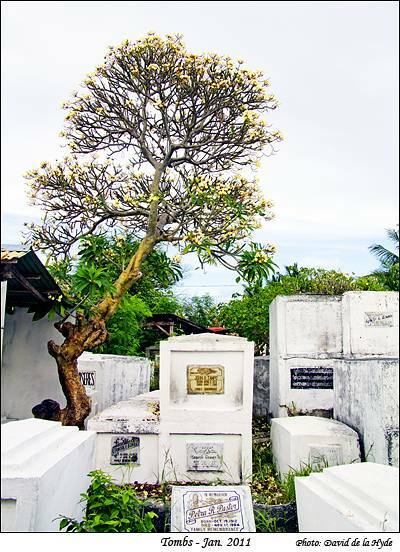 The San Jose Public Cemetery is located next to Sikatuna Beach Resort on Aroma Beach and is about five minutes away from the Airport. 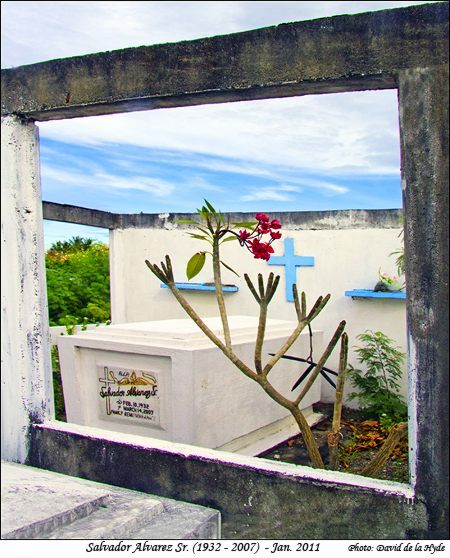 The beach front of the cemetery is shown at the bottom of this page. 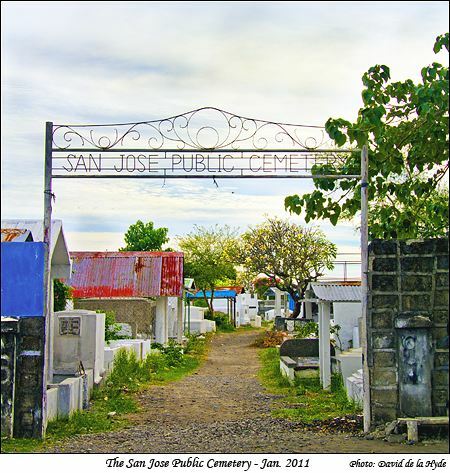 During Mayor Abique’s time, the municipal cemetery was located on the spot where now stand the San Jose Gymnasium, the swimming pool, the tennis court, the office of the Department of Agriculture, the Multi-Purpose Hall and the station of the fire department. 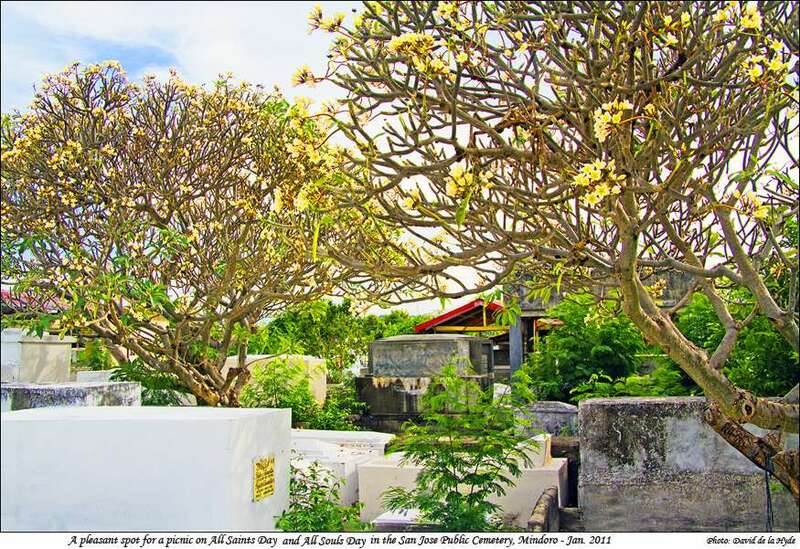 In 1964, Tirso Abeleda was elected mayor of San Jose. 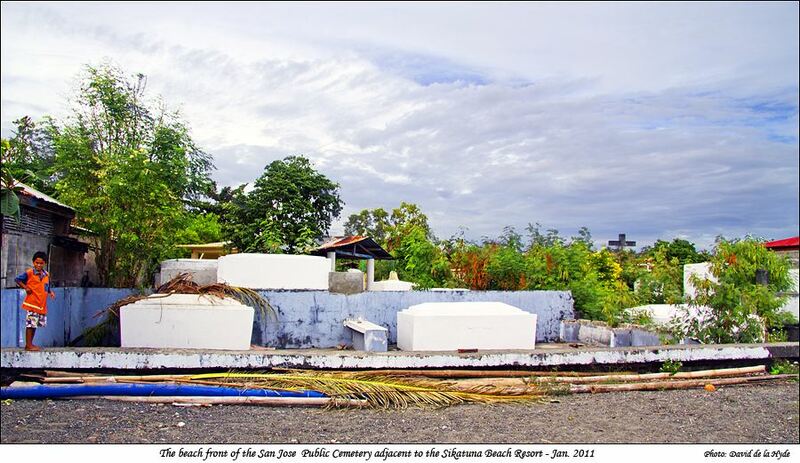 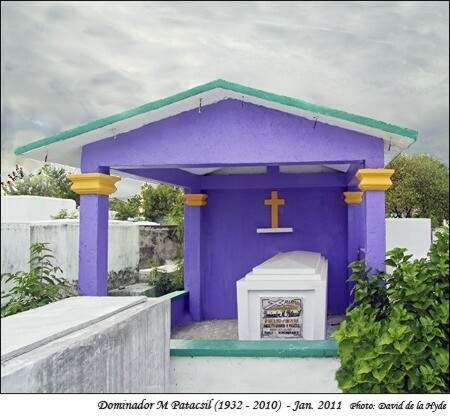 He transferred the cemetery to the southwestern part of Brgy. 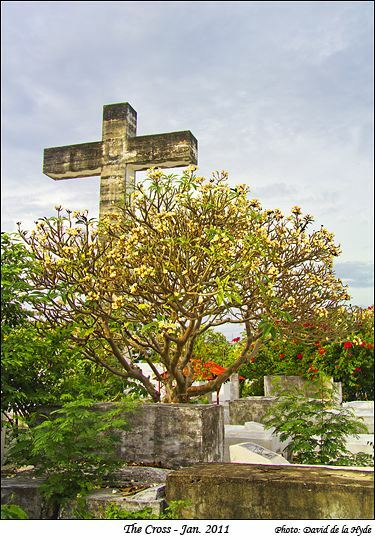 San Roque. 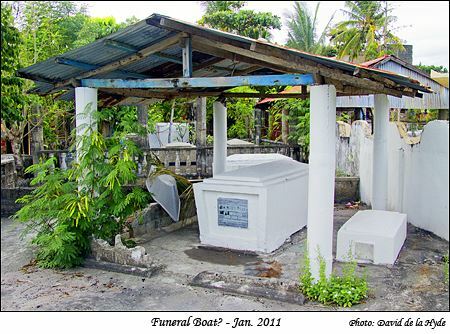 He also transferred some people who lived near the old cemetery. 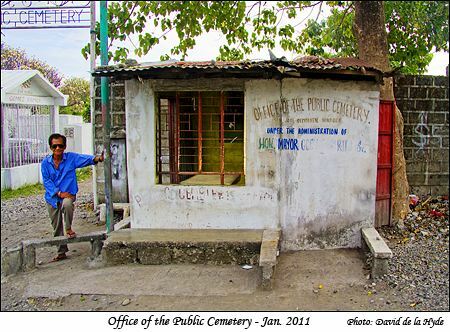 They were relocated somewhere in what is now Brgy. 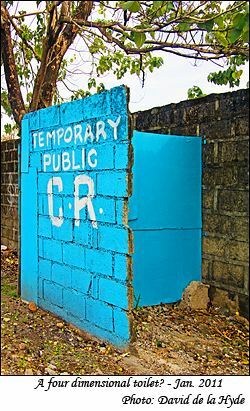 Pag-asa. 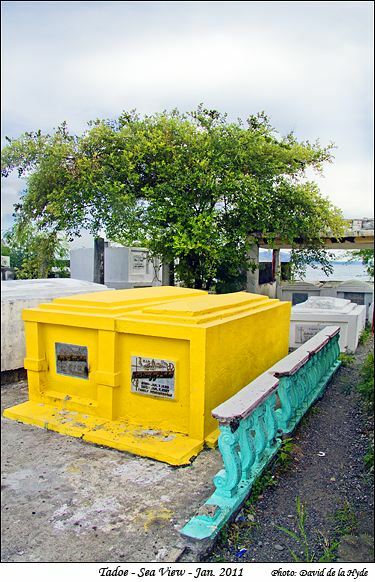 He constructed a basketball court where basketball leagues were held and occasionally served as a venue for town affairs such as the coronation of queens and princesses.